Have you ever heard about the NBAA Business Aviation Convention & Exhibition or NBAA-BACE? If you’re a big aviation fan probably this event sounds familiar to you, but if you have no idea what we are talking about we’ll tell you more about it. 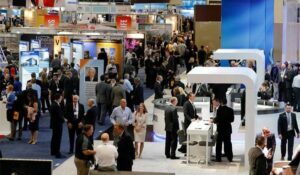 The NBAA Business Aviation Convention & Exhibition is known as the third largest trade show in the United States and is held every year on this country. The event gathers thousands of aviation professionals, manufacturers, aircraft owners and those looking forward to buying one. The 2018 edition of the NBAA-BACE is just around the corner, starting on October 16th until October 18th, the event will take place in Orlando Florida. The United State’s National Business Association call these, the most important three days of the year for the professionals of the sector. Take into account that this event is not really for everyone, only for those considering joining the aviation business, for aircraft owners, business leaders, buyers, manufacturers, government officials, etc. – Learn more about the latest trends and advances that are currently making changes in the industry. – Find the best products and services of the aviation business. Between the thousands of exhibitors of the event, you’ll find what you’re looking for and more. -It’s the best opportunity to make valuable contacts of the industry. The NBAA-BACE It’s all about networking. – Do you want to make your brand famous? You can also participate as an exhibitor and gain a lot of visibility for your business! – It’s an opportunity to have fun and enjoy your passion for the aviation business! All of the previous reasons are valuables, but we’ll say that to have some fun is just as important. Learn more about South American Jets experience at NBAA’s Business Aviation Convention & Exhibition 2017.